The NVIDIA SHIELD is the premier Android TV device currently on the market, but what really sets it apart is the games NVIDIA are able to secure as exclusives on Android (or sometimes just straight-up AAA titles). The next one of these games to come to the SHIELD is Kingdom: New Lands, a kingdom-building game in a cool, cute pixel-art graphical style. Kingdom: New Lands is the sequel to the popular Kingdom, which unfortunately never arrived on Android. The main complaint from critics on Kingdom was how repetitive it was to play, leading budding kingdom-builders to get bored. With Kingdom: New Lands, developer Raw Fury has attempted to fix this problem by adding new lands and other features. Judging by the reviews on Steam, it seems this has worked, with 'very positive' reviews since its release on August 9. It looks incredibly pretty and the gameplay looks engaging and fun, with citizens of your kingdom needing to be managed and castles defended from monsters and other foes. 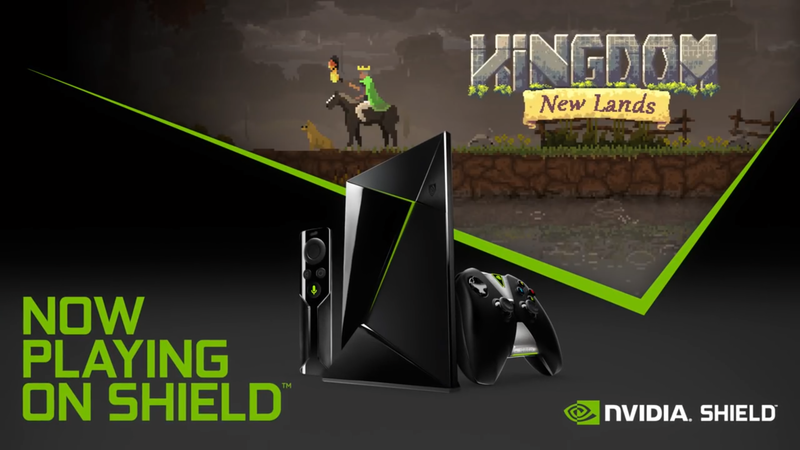 Kingdom: New Lands is available on Google Play, costing $6.99, but it is currently exclusive to the NVIDIA SHIELD (Tablet and TV, but not Portable).